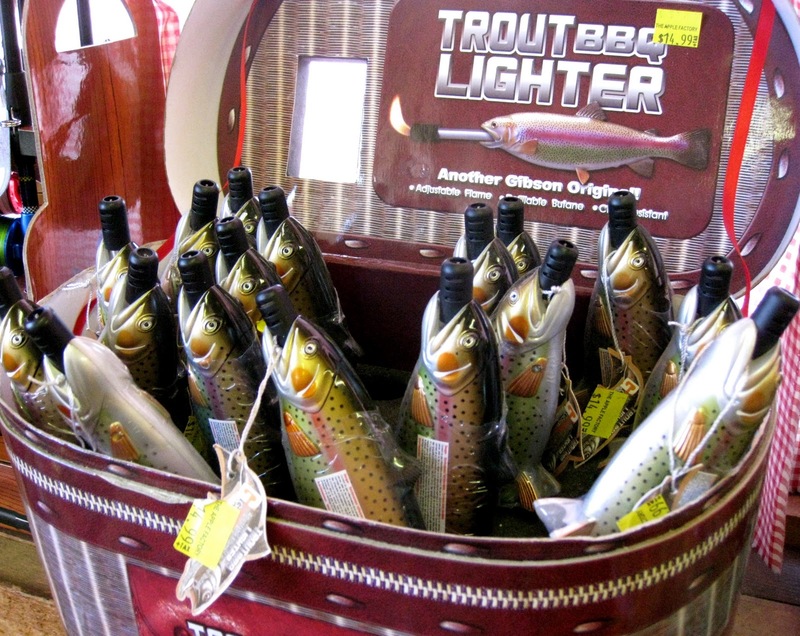 It's a trout lighter and he'd rather have a Mars bar, but the candy counter is right under the cashier's nose. She'd see if Tim swiped a Mars bar. So the lighter, it is. 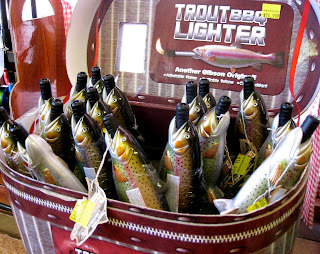 It's shaped like a fish, which is kind of weird, but at least it sets stuff on fire, which the guys will like. The cashier has grey hair and eyeglasses on a chain. This reminds Tim of Ms. Rose, their school librarian. Tim's allowed to go into Ms. Rose's office and sit on her brown couch. She makes the two of them hot cocoa with little pink and green marshmallows. "You're a bright boy, Timothy," she says. Sometimes, they talk. Tim tells her about his Dad who doesn't live at home anymore, and his Mom who cries a lot. Ms. Rose never calls Tim fat, though lots of people do. "Let's have a few more marshmallows, Timothy dear," she says. Ms. Rose is the kindest person Tim knows. The thought of her finding out what he is about to do makes him want to throw up. He doesn't have to do this. He could leave the store and tell the guys waiting outside that he won't steal. But this is Tim's big chance to make them like him. How can he go on with just an old lady for a friend? Pom, Pom, Pom, goes Tim's heart. He picks up the lighter, slides it into his sleeve and heads for the door. Then he's outside. He pulls out his prize to show them and manages a smile. Everyone cheers. And then Tim is on his bike and pedaling fast, with the other guys on their bikes all around him, and they are all laughing together and Tim feels good, like he did the right thing in taking that lighter. But after that, he can't bring himself to go to Ms. Rose's office. When he passes her in the hallway, he sees her sad, questioning smile, and he looks away. Things aren't that much better. His Dad hasn't returned. His Mom's tears haven't dried up. And people still call him fat. He knocks on the door of Ms. Rose's office, softly at first. The door swings open and she is there looking at him. He remembers her calling him a bright boy, and it's like he can feel himself growing brighter now. "Timothy," she says, "I'll put the kettle on."